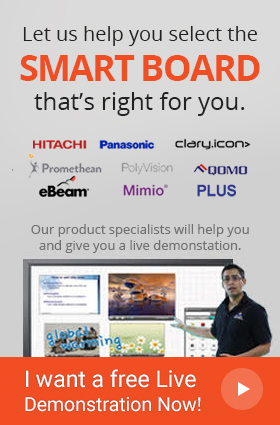 Interactive Monitors are a brilliant combination to go along your computer system for both household and commercial use. Not only that, Interactive Monitors are effective tools to increase individual labour productivity but they also contribute artistically to the overall professional look of the organization. Coming with sleek and attractive designs, Interactive Touchscreen monitors are desktop displays, which deliver an immersive interactive experience by allowing users to interact and manipulate digital files to their liking. They are ideal for image-conscious businesses. Furthermore, there are several Interactive Monitors available in the market, which are made exclusively to be used as a point of sale tool. Interactive Monitors are a meticulous and compact rendition of state of the art technology together to provide an unmatchable user experience, one that adheres to aesthetics and style as well. Not only that, many Interactive Monitors come integrated with a Built-in VESA stand intended to provide as much stability and sturdiness as possible for maximum user safety and prevention of any kind of accident. Interactive Monitors are specifically created with utmost focus placed on them to be user friendly. Not only do these devices offer users with multiple mounting options but some models also come with an remote on-screen display module which aids in simplifying any changes to the displayed image during installation or system maintenance. Moreover, Interactive Monitors have from 1 to even 20 simultaneous touch points and come in various screen sizes, allowing users the ability to choose the model which best fits their needs and wants. The devices also have the capabilities of providing users with brilliant visuals and crystal clear images with vivid and bright colours. 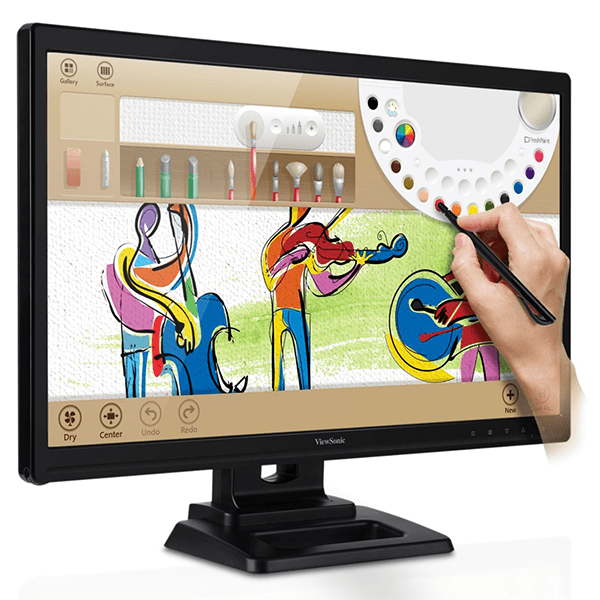 Furthermore, many Interactive Monitors come with several connectivity options as well as a multi-language on screen display feature to accommodate people of different nationalities and ethnicities. Many Interactive monitors are also incorporated with a hard coating that uniformly instils heat into the glass creating a non-absorptive barrier for better protection and resistance against scratches, delivering users with a smooth touchscreen. Most of them even have an anti-glare coating on the surface to provide users with better visual experience. Ideal point of sale application! Many interactive monitors are made ideally to be used in image-conscious retail, governmental, educational, and even in medical facilities. Their sleek design impresses the customers and gives the environment a modern look and feel. Whilst making the selling process incredibly easy for the employees with their fast, highly precise and accurate response as well as the incorporation of OSD buttons and compatibility with Windows, Mac and Linux operating systems. This in turn allows the business to become more efficient and hence, more profitable. As such, Interactive Monitors are a vital tool to have for their incredible convenience and quality performance. The devices come equipped with all the features needed to fulfil the requirements of the user and to provide them with an engaging and immersive experience.